From the outset of his first term as general secretary in late 2012, state media in China made much of Xi Jinping’s down-to-earth style. The new leader, we were told, had demanded less jargon of his fellow officials, and had poo-pooed public speeches burdened with boilerplate. The China Daily, published by the Information Office of the State Council, ran a related piece under a headline that was almost brusque by official standards: “Plain Talk and People First Style.” But that headline, too, bent awkwardly under the weight of the Party’s stiff and colorless discourse — as though state media and the system they reflected lacked even the vocabulary to talk about plainness. In any case, the demand to talk straight tangled very quickly with tightening internal Party discipline. Party officials were instructed to fall in line, and to avoid “improper discussion of [the policies] of the central Party,” or wangyi zhongyang (妄议中央). With officials big and small, the tigers and the flies, falling under the roving eye of Wang Qishan and his powerful anti-corruption investigators, it was absurd to suppose now was the time for anyone to ad-lib or be candid. Like M.C. 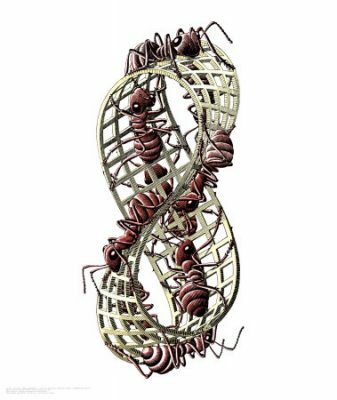 Escher’s ants, there’s no getting off the self-referential strand of CCP discourse. Source: cea+, posted to Flickr.com under Creative Commons license. Any observer of China with a working knowledge of the country’s political culture should understand that talk of plain talk is just another way to make official talk. Straight talk, in Chinese politics, is always meta-straight talk. Strive as it might to escape its own twisted self-referentiality, Party language is held back by the necessity of its roots in the power of the Party-state. 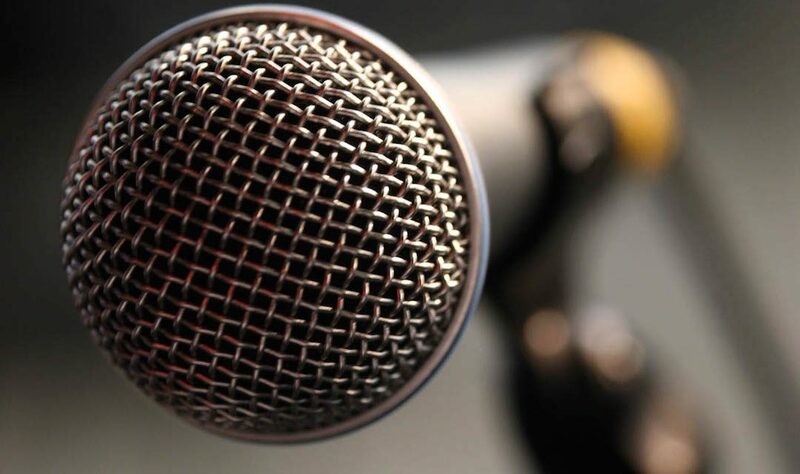 It would take a true political outsider to speak a plainer political tongue — and it’s no secret at all that the CCP does not take kindly to political outsiders. Xi Jinping’s supposed plainness was only ever a luxury to be enjoyed by a leader who had managed to cement his power to an unprecedented degree. Let us not forget that the most important measure we will have of Xi Jinping when the 19th National Congress of the CCP is held in less than two week’s time will not be what is plainspoken on the sidelines — (there are no sidelines) — but how the Xi-era discourse is hard-stamped into the political report, and precisely what imprecise terminology becomes enshrined in the Party’s charter in order to form Xi’s legacy. From the outside, this discourse game seems plainly absurd. But its supreme importance tells us a great deal about the workings of Chinese politics, in which language is a complex chess game marshalling pieces of discourse that go in and out of vogue across the playing board of history. Despite a professed distaste for embellished political language, Xi Jinping will no doubt become the most embellished Communist Party leader of the reform era. His status has already been elevated substantially in the Party discourse, a clear reflection of his consolidation of power. At the 6th Plenum of the 18th National Congress one year ago, he was designated “the core” (习核心), something neither of his predecessors in the post-Deng era managed. Reporter: Hello! For the State Ethnic Affairs Commission, what is the status of ideological work within the context of overall work? How does the Ethnic Affairs Commission grasp and implement ideological work? Li Changping: General Secretary Xi Jinping has pointed out that ideological work concerns the fate and future of the Party, and the long-term peace and stability [of the government], that it concerns the cohesiveness of our ethnic groups, and that it is a task of first-level importance in the work of the Party. Only by considering the general situation, grasping the overall trends, focussing on the major matters, accurately finding the entry points and points to focus energy, planning in line with conditions, and accommodating conditions, can we effectively uphold our responsibility to revolve around the central Party leadership as we serve the general situation. First, faced with new stage-by-stage characteristics in ethnic work, the State Ethnic Affairs Commission has clarified the priorities of ideological work, upholding and improving the degree of autonomy in ethnic regions, upholding the joint and united struggle of ethnic groups and their common prosperity and development, upholding, consolidating and developing the equality, unity, mutuality and harmony of socialist ethnic relations — resolutely, determinedly and with full effort serving the ethnic regions and minorities. Second, facing the changing and developing nature of ethnic work, our focus will be on deepening propaganda and education work according to the new governance concepts, ideas and strategies of Comrade Xi jinping as the core, steadily firming up the leadership position of Marxism within the ideological field, firming up the common ideological foundations for mutual struggle by the whole Party and the whole people. . .
Reporter: The global system is undergoing profound change, and economic globalization has brought interaction, exchange and competition with different cultures that has grown ever more fierce; the comprehensive deepening of reform has entered a key strategic moment and deepwater point, social change has accelerated, interest patterns have shifted, psychological understandings, value concepts and social consciousness all now show many new characteristics, and tides of thought in society have shown many new trends. Lately, the people of all ethnic groups in China eagerly await the victorious opening of the 19th National Congress of the CCP, so how will the cultural propaganda units of the State Ethnic Affairs Commission further their ideological work and make a concrete show of force?